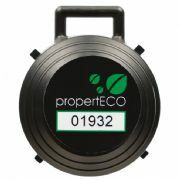 Passive radon detectors are the most commonly used method of testing buildings for radon gas. Suitable for both homes and workplaces, single-use passive detectors are simply left in place for a certain amount of time before being posted back to us for laboratory analysis. Where possible, testing should be carried out over a three month period, as this will take account of fluctuations in indoor radon concentrations. 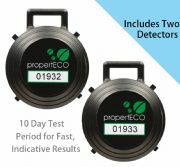 Where a result is required more quickly, a 10-day screening test can be carried out which will provide a good indication as to whether high radon concentrations are likely to be an issue. 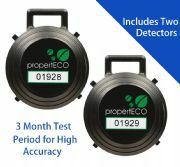 If you are looking to place a large order to test a portfolio of properties, or would like a quotation to include the placement & collection of detectors, please contact us.